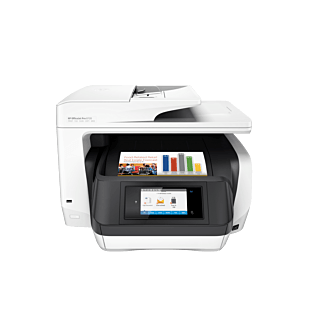 Breeze through work with affordable color, fast printing, easy navigation, and mobile printing. Save HK$220 with any purchase of PC. Click here. Count on remarkable value for your color printing needs. Spend up to 50% less per page compared with lasers, and produce the color and black text output you need to keep your business humming. Easily print when and where you need to from your smartphone, tablet, or notebook PC. Get up and running right out of the box, and connect the way you want to with Ethernet and wireless networking. Count on an all-in-one that helps you work quickly and smoothly. Tap and swipe the touchscreen the same way you would a smartphone, and get instant access to essential tasks. Automatic two-sided printing helps you save paper. Two-sided scanning Double-sided scanning is available with this printer/scanner. Yes, 1 USB cable, 1 Phone cord, 1 Ethernet cable. Rated 4 out of 5 by Giorgio from Honest device This product has great features, value for money device !!! Awesome for private use and small enterprises !!! 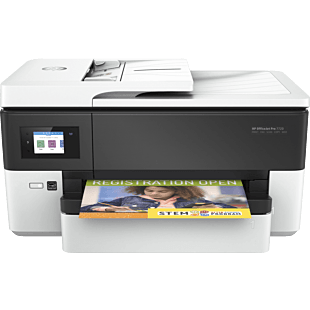 Rated 5 out of 5 by Chris from Its top... 6960 Aio its fast , its easy to use , high quality printing , also hp eprint its very useful!! Rated 4 out of 5 by HTA from Set Up Complex We love HP products and so didn't hesitate to buy a new one immediately our last one died. However the set up was not as straightforward as we have been used to in the past. That said it looks fab, the print quality is what we would expect and we are believing for a good number of years service from our new printer. AMS: Compared with the majority of color laser AiOs < $300 excluding VAT as of October 2015; market share as reported by IDC as of Q2 2015. Cost per page (CPP) comparisons for laser supplies are based on published specifications of the manufacturers’ highest-capacity cartridges and long life consumables. CPP comparisons for high-capacity HP ink supplies are based on published specifications of the manufacturers’ highest-capacity cartridges. CPP based on high-capacity ink cartridges’ estimated street price and page yield. ISO yield based on continuous printing in default mode. For more information, see hp.com/go/learnaboutsupplies. 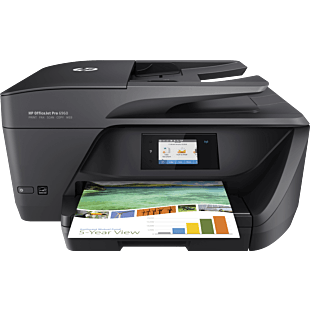 Requires HP All-in-One Printer Remote mobile app download and is compatible with iPhone® 4 and later, iPad® 4th generation, iPad mini™, iPad Air®, iPod®, and mobile devices using Android™ 4.0.3 or later. 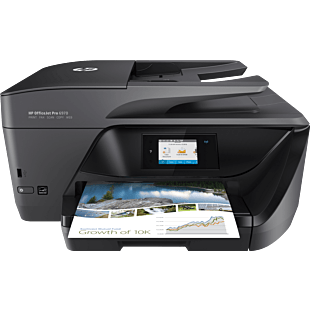 For a full list of supported operating systems, see hp.com/go/mobileprinting. 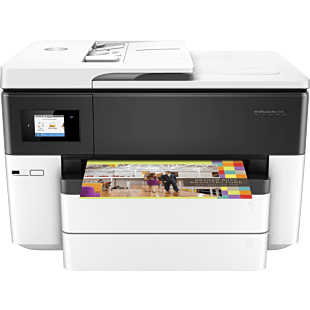 Local printing requires mobile device and printer be on the same network or have a direct wireless connection. AirPrint® is supported on any iPhone®, iPad®, or iPod® using iOS v4.2 and higher. Remote printing requires an Internet connection to an HP web-connected printer. For details on how to print, including whether an app is required, see hp.com/go/mobileprinting.